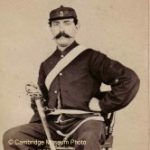 The first Europeans to settle in the Cambridge area were the 3rd Regiment of the Waikato Militia, during the New Zealand Land Wars of 1860-1866. More and more immigrants were arriving wanting land to farm but the Maori did not want to sell. The Waikato tribes united and elected Te Wherowhero as King in 1858 – known as King Potatau 1. Mistrust grew between the settlers and Maori, and Governor Sir George Grey, while talking peace, prepared for war, which he declared on 11 July 1863. Recruitment for the Militia began. In the 3rd Waikato Regiment about 47% of enlistments were from the South Island, 24% in Auckland, 17% in Australia and 10% from regimental headquarters. About 18% were labourers, 13% miners, 10% in the building trade and 11% in agriculture. The Waikato War continued with the last battle being fought at Orakau (near Te Awamutu) from 30 March to 2 April 1864. The British then confiscated about 1.2 million acres of Waikato heartland. Of this, 225,000 acres became native reserves and 50,000 acres were returned to the tribes. About 150,000 acres were subdivided for military settlements, the remainder to be sold to pay for the war. Cambridge was named after the Duke of Cambridge – Commander in Chief of the British Army from 1856 to 1895. They chose the location, on 13 July 1864, because it was the closest point to the Confiscation (Aukati) Line that was accessible by river transport. Camp Cambridge, under Colonel William Lyon, was established on a series of terraces with the Ten Star Redoubt’ built in Fort Street on 13 acres overlooking the river towards Maungatautari – the direction of the Maori stronghold. About 11% of these 700 militia soldiers were under 21 years, 57% were aged between 21 and 30 years. They became our first farmers having been given 50 acres of confiscated farmland’ and a town acre. The government’s theory was to establish these farms as a buffer between the Maori King Country and Auckland with Cambridge as a military outpost. But the Cambridge district was mainly swamp. Many militia men walked away, some sold their land with the remainder of the three year military service attached, while some with families pitched in and made a go of their new life. Poultry, pigs and cattle were their first livestock. A vegetable garden and orchard were essentials. Wheat and oats were the mainstay. Scrub, fern and ti-tree made a fairly bleak outlook and no doubt trees were planted fairly quickly as shade from the sun and shelter from the bitterly cold southerly winds. Today we have an inheritance of magnificent trees from which has come our name, Cambridge Town of Trees, New Zealand . By 1867 the population was 200 men, women and children and with the passing of the Armed Constabulary Act on 10 October 1867, the Waikato Militia was disbanded. Click here to see the index of these men.